RS-ZFELT Zirconia Felt | ZIRCAR Refractory Composites, Inc.
ZRCI Zirconia Felt Type RS-ZFELT is a mechanically interlocked textile structure composed of 4-6 micron diameter yttria-stabilized zirconia fibers. It is designed for uses in extremely corrosive environments and high temperatures. The felt is 100% fibers and contains no binders. It undergoes no phase transitions on temperature cycling and is a very effective thermal insulator, capable of use at temperatures exceeding 2000°C (3632°F). The stabilized zirconia composition permits the advantage of fibrous insulations to be extended into temperature regimes well above the melting temperatures of silica and alumina insulation materials. RS-ZFELT retains its fibrous nature to 2480°C (4500°F) but loses its flexibility after being heated to about 1370°C (2500°F). Its specific heat increases from 0.13 BTU/lb °F to 0.18 at 2371°C (4300°F). The thermal conductivity of RS-ZFELT is lower than that of the foam, bubble and grain forms of zirconia; thus, substitution of the fibrous insulation for these forms will improve thermal efficiency in existing installations. Although yttria-stabilized zirconia is a semiconductor and becomes electrically conductive at high temperatures, it does not conduct with RF in the KiloHz frequency ranges. 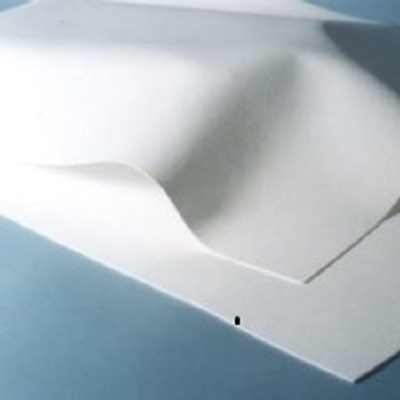 RS-ZFELT is available in 18” X 24” sheets and in three standard thicknesses: .050”, .100”, and .150”. Custom boards, shapes and preparations are available on request. Our forming processes, large Inventory of custom tooling and state of the art machining techniques allow a wide variety of sizes and shapes to be made. Special geometries such as disks, rings and custom-machined shapes can be fabricated. Tight tolerance machining, compositional variations and the application of surface, rigidizers and hardening agents are available. Please contact us with your special requirements.